Another new buggy this time from Maverick and in 1/5th scale! Runs up to 6S LiPo’s with a brushless setup. RRP is approximately £620, so slightly in the budget end of things which is where Maverick models seem to make their mark. 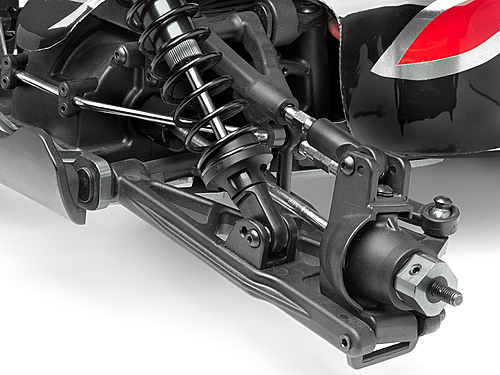 All-New Maverick 1/5th RTR Electric Buggy! 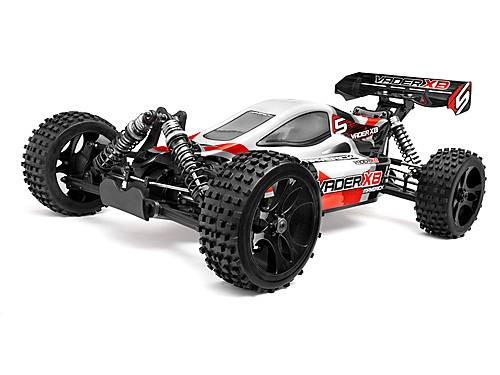 Introducing the Vader XB 1/5th scale electric buggy from Maverick! This is a HUGE buggy that can hit incredible speeds in the blink of an eye! 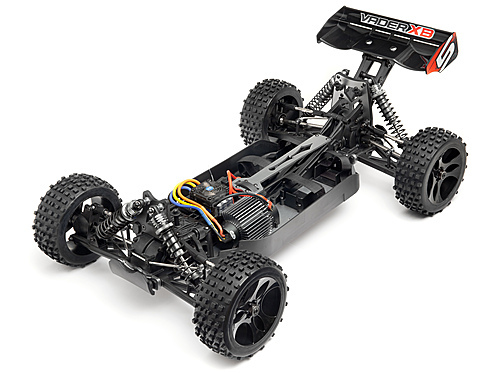 With an extremely strong 4WD shaft drivetrain and twin LiPo battery power, the Vader can get over and through any type of terrain you can throw it at. A massively powerful 980KV motor gives the Vader XB monster amounts of torque for crazy-fast acceleration, and the ESC allows you to fit twin 7.4 or 11.1 volt LiPo batteries for up to 22.2 volts of power! A sleek aerodynamic body shell lets the Vader XB slice through the air, while the large rear wing keeps the rear end planted through the turns. Large block tread tyres provide fantastic traction on all off-road surfaces including mud, grass, gravel and dirt, and the cool black wheels provide an extra bit of style and flash after the hard driving is completed. The easy Maverick 2.4GHz radio system lets you simply switch on and drive - the radio finds an open frequency and lets you forget about frequencies altogether!